11,03 € 11.03 tax incl. 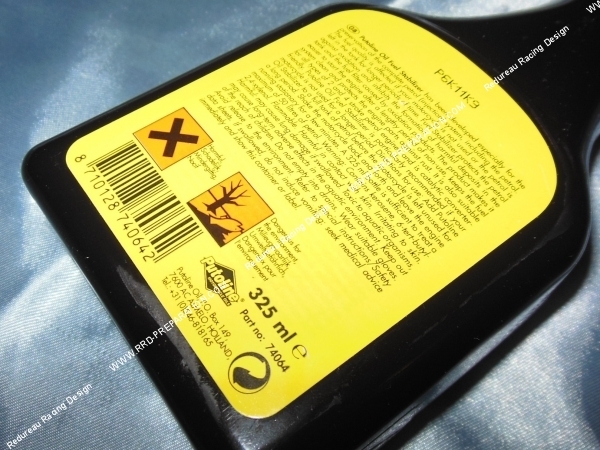 This bottle of 325ml PUTOLINE Fuel Stabilizer is a gasoline engine additive without sinkers 2 and 4 stroke specially designed and developed for the protection & preservation of the complete injection system, fuel hose network, tank .... The quality of gasoline is affected if you do not use your two wheels for long periods, this Fuel Stabilizer additive therefore offers protection against oxidation and the formation of deposits in your tank, fuel filter ... in the case of prolonged non-use of your engine. 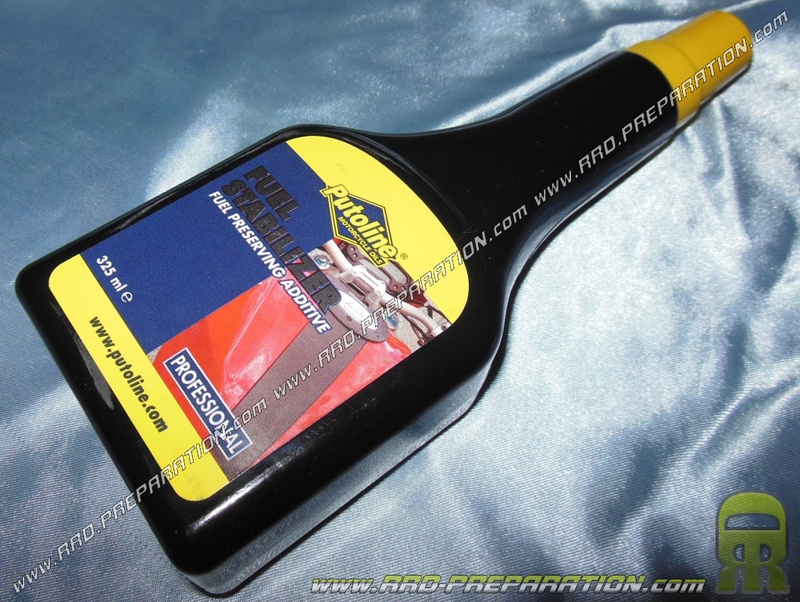 This product also enables easier start your engine after long time without starting, keeps your fuel system, fuel lines ... in a good condition and prevent rusting. -Fortement Recommended if your 2-wheel motorcycle, scooter, mob ... is not used for a long time. -Add The bottle in your gas tank before a long period of non-use & start. -Well Mix the product in your gasoline shaking beforehand a mixture of container or tank. A 325ml bottle is enough for 50 liters of petrol.